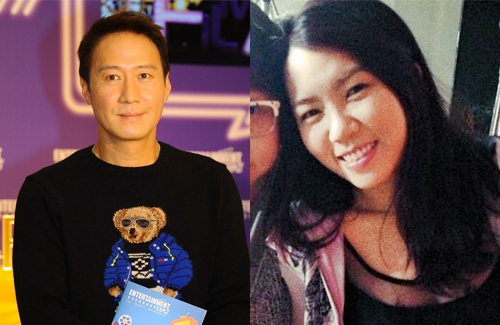 Already six months pregnant, Leon Lai’s (黎明) girlfriend Wing Chan is the new talk of the town. The 32-year-old former assistant to Aarif Rahman (李治廷) even earned the congratulations of Leon’s ex-wife Gaile Lok (樂基兒), who told reporters that she is very happy for them. Leon is the last of the four Heavenly Kings of Hong Kong to become a father, and fans are ecstatic for the 51-year-old singer. Wing herself has already moved in to Leon’s residence, preparing a new chapter in her life. But after doing some more digging into the new couple’s lives, the reporters noticed that Leon isn’t quite ready to seal the deal with Wing yet. Two of Leon’s properties in Sheung Shui, with a market price of HK$150 million, is actually shared with Leon’s male assistant and close friend, Chi Chuen (子泉). Wing has no shares in the property. Both properties were purchased for HK$56 million back in 2009. They are owned by a company called Southern River Limited, in which Leon’s assistant Chi Chuen is the primary shareholder. Though Leon hasn’t shared any of his properties with Wing, the 32-year-old does hold a powerful position with Leon’s music label, A Music. Starting off as Aarif Rahman’s assistant in 2012, Wing was eventually promoted to manager in the business department of the company, kickstarting her relationship with Leon. No way; that’s a lot of dough. how does a personal assistant make that much? it probably only belongs to Leon, just that it’s managed by the assistant. If he ends up marrying her then he should have a prenup. If he really loves her, why prenup? It is an insult to the woman. @mangotango But does she really love him? This is the 21st century and money can win over everything even LOVE (every century actually). Many said money can’t buy true love; but sadly, it does. Let’s say, at first it may not be true love, the partner is only a gold digger. Later on, with the money, stuff and good life he gives to you and the warm feeling you receive, you’ll eventually start feeling for him. And also, being happy is different for everyone. Anyway, a prenup would be good no matter what gender the rich partner is. If I were the girl, I would be happy to let him have a prenup because I know he loves me, and don’t want anyone to worry about his fortune, also to show that I don’t marry him for his fortune. If a prenup is an insult to her, then the chance of her marrying him for his fortune is really high. There are thousands of cases where a woman who had nothing or didn’t have that much walked into a rich guy’s life and took a fortune after she left him. So, the if he really loves her question should go to both of them (man and woman). Time can be a good factor that will tell if it’s love or not. However, 20, 30, 40, or 100 years of being together may not mean love. go for a DNA test to make sure the baby is his FIRST, before he thinks of marrying her. no mention of marriage…her love life is really messy.